BERLIN – Germany has earmarked 1 billion euros ($1.2 billion) to support a consortium looking to produce electric car battery cells and plans to fund a research facility to develop next-generation solid-state batteries, three sources told Reuters. The measures, expected to be announced next week, are designed to reduce the dependence of German carmakers on Asian electric vehicle (EV) battery suppliers and protect German jobs at risk from the shift away from combustion engines. Berlin's push to shape industrial policy marks a break with its generally "hands off" approach to business decisions and is part of European efforts to forge battery alliances to counter the dominance of Chinese, Japanese and Korean firms. We have a concentration of risk in the automobile sector the industry is too dependent on the combustion engine, the government therefore wants to help the sector in its efforts to diversify. Ensuring local companies are involved throughout the electric vehicle supply chain is particularly important for Germany as it has become so economically dependent on the success of its car industry. But Germany's car battery push could be too late. Asian market leaders are ramping up output and some experts say there's a risk of a glut that could hinder the establishment of large-scale battery cell production by European newcomers. For Chancellor Angela Merkel's fractious ruling coalition, the plan is also a way to show voters ahead of three elections next year in eastern Germany that it can get its act together to help Europe's largest economy thrive in the electric car era. "We have a concentration of risk in the automobile sector. The industry is too dependent on the combustion engine," Deputy Economy Minister Christian Hirte told Reuters. "The government therefore wants to help the sector in its efforts to diversify." Hirte said Berlin was in talks with several companies and other governments in Europe to support a battery cell factory. 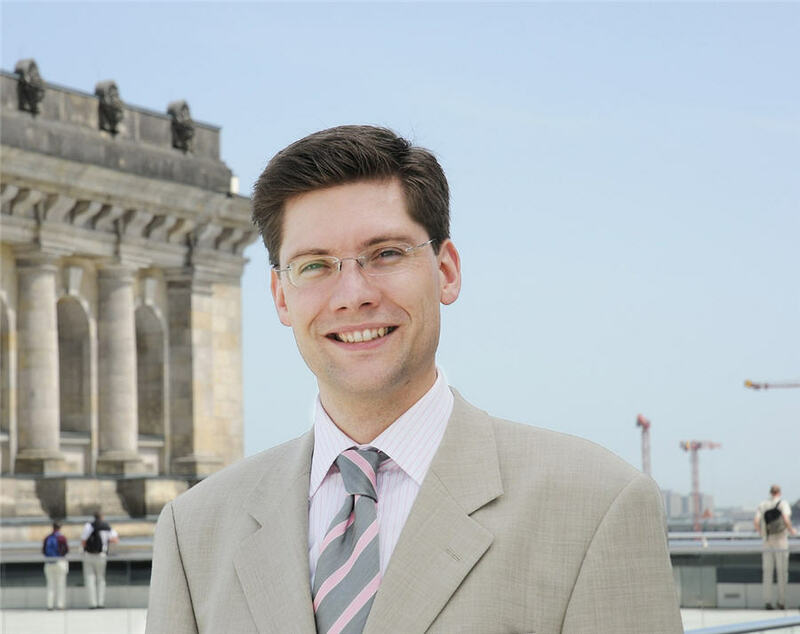 "There are possibilities for example in the Lausitz region, maybe in cooperation with Poland," said Hirte, who is the government's coordinator for Eastern German affairs and for small- and medium-sized enterprises policy. "One thing is clear: you cannot ignore east Germany if you are planning such mega projects. There is a lot of space and the acceptance among the population is great." Companies involved in talks with Economy Minister Peter Altmaier about building a factory include German battery maker VARTA Microbattery, chemical giant BASF and Ford's German subsidiary Ford-Werke GmbH, three people familiar with the matter told Reuters. A spokeswoman for BASF said it would attend a meeting with Altmaier next week. Varta and Ford declined to comment. Varta specialises in batteries for hearing aids and large storage systems for solar energy. It said last month it was studying the production of large lithium batteries and was in intensive discussions with relevant market actors. Volkswagen's supervisory board is due to discuss its electric car and battery cell strategy at a meeting on Nov. 16. The German carmaker has said in the past that it was studying battery cell production at its plant in Salzgitter. A source told Reuters on Thursday that the board would discuss a far-reaching alliance with South Korean battery cell maker SK Innovation. Some analysts say Europe is already too far behind in the race with Asian firms, at least with the current technology. Boston Consulting Group, for example, has estimated global battery cell production capacity will exceed demand by about 40 percent in 2021, exerting massive pressure on prices and making it hard for new entrants to make money. South Korea's LG Chem is already supplying some German carmakers with EV batteries made in Poland while Samsung SDI Co and SK Innovation are planning factories in Hungary. The announcement by the world's biggest EV battery maker – China's Contemporary Amperex Technology Ltd (CATL) – that it would build its first European plant in eastern Germany and has struck a deal with German carmaker BMW has been welcomed by the government. But Merkel told business leaders it was "extremely important" Germany also develops its own battery cell capacity to secure the country's role in the car industry. For years, German car bosses have been reluctant to push ahead with electric cars, instead focusing on diesel engines. But they now face a challenge to make combustion engines comply with tougher emissions rules introduced following the emissions cheating scandal that engulfed Volkswagen. Despite BCG's predictions of a glut, analysts at consultants McKinsey & Company and Germany's Fraunhofer Institute ay there will be room for European newcomers as demand is likely to outstrip supply when automakers ramp up EV production. German carmakers have warned, however, that jobs could disappear – because it takes less time to build electric cars and as positions shift overseas to foreign battery makers. Germany's VDA auto industry association has said a ban on combustion engine-powered vehicles in 2030 would threaten 436,000 jobs at car companies and their suppliers. "Battery cells are a key technology and an important part of the value chain. That's why we want to locate this in Germany," Hirte said. Recognising the importance of a homegrown battery industry for jobs and profits, the European Commission launched its own European Battery Alliance in 2017 but Sweden's Northvolt is seen as the only serious contender to emerge so far. As part of Berlin's push, Economy Minister Altmaier is talking to German and European companies as well as neighbouring countries to try to join forces. He is coordinating his efforts with Brussels to resolve any state aid and antitrust issues. "In a few years, Europe will have a competitive battery cell sector that can survive without state aid," Altmaier said in September after meeting the EU's Vice-President for Energy Union Maros Sefcovic, who has been the driving force behind the EBA. Altmaier is expected to announce more details of his battery cells plan during a two-day conference in Berlin starting on Nov. 12 that will be attended by Sefcovic. Berlin is also willing to support a second plant, possibly in the Lausitz region near the German-Polish border where two of the regional elections in 2019 will take place, they said. An Economy Ministry spokeswoman said Altmaier was in talks with all relevant parties and no decisions had been made. In addition, the government wants to spend up to 500 million euros to co-finance a research factory to help put German companies ahead of the curve when solid-state batteries are ready for the mass market, another source told Reuters. Lithium-ion batteries are likely to be overtaken in a matter of years by solid-state technology that is expected to produce cheaper batteries with higher energy density. The location of the research factory has not been decided and the government is about to start a tender process in which authorities and firms can pitch for the site, the source said. A Science Ministry spokesman said the government was supporting efforts to develop solid state batteries by bringing together leading research institutes with the private sector. Companies involved in the network, known as FestBatt, include Varta, BASF, Volkswagen, BMW, car parts maker Continental, conglomerate Thyssenkrupp, carbon fibre specialist SGL Carbon, Belgian materials firm Umicore, Coperion and Heraeus, the spokesman said. For now, German carmakers are sourcing battery cells predominantly from Asian suppliers such as CATL, LG Chem and Samsung SDI although BMW has struck a partnership with Northvolt. Underlining the uphill battle German firms face, one of the world's biggest automotive suppliers, Bosch, has opted out of making lithium-ion cells, saying it would be too costly. Hans-Martin Henning, an electric mobility researcher at Fraunhofer, is less pessimistic. "If automakers boost their electric car production to 10 to 20 percent of total sales in coming years, Europe will need battery cell factories with more than 100 gigawatt hours," he said, well above the capacity planned by Asian producers so far. "We'll need far more battery cells in Europe – and this must happen pretty fast indeed," Henning said. The expected shift to solid-state batteries could also make European suppliers less dependent on the rare earth resources largely controlled by China that are used in lithium-ion cells.